LISTEN NOW! Greg, John, and Pat discuss the importance of “getting out” into the harvest. Greg begins to describe how he felt when he was about to jump out of a plane at 10,000 feet. So many today are held captive and held back into going into the harvest. A spirit of religion often times is behind many who are being held back. Jesus sent the disciples out two by two to advance his kingdom. We are called to do the same and to help people escape the power of satan and to come into the saving light of Jesus Christ. They encourage us to pray and to prepare ourselves for the harvest. Many times we often need people in our lives that will hold us accountable and help to push us in the direction the Lord has called us to serve. Many have used the excuse that they are shy when in reality they are bound by a spirit of fear. There is so much going on in the world today and time is running out and who knows how much time you have left to bear fruit in the kingdom and to bring in the harvest. Sometime we just need our rumpus kicked into the harvest field before we blow a very limited opportunity to lead many to the Lord and when it’s all said and done we don’t want to go to heaven with any regrets. 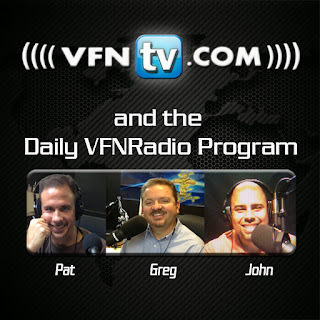 Greg, John, and Pat discuss the importance of keeping CHRIST in “CHRISTmust”. They continue to discuss the push that takes place this time of the year to try to take Christ out of Christmas and to make it all about anything as long as they don’t make it about Jesus. They encourage us to imagine if this was our last Christmas. No matter how much satan tries to negatively influence people of the reality of Jesus Christ and his birth he will never be successful. This is a perfect time not to shrink back. One NJ mayor refused to call it a “Holiday” tree but instead said the city is putting up a Christmas tree. The tree itself speaks much about Jesus and serves as a continual reminder and teaching moment. The Bible says cursed is everyone who hangs on a tree. Jesus died on the cross, a tree, and became a curse so we don’t have to be cursed. The lights resemble the light of God’s word shining through. They encourage us to restore purity in our giving and not make Christmas about us but rather about Jesus. Greg, John, and Pat discuss what the future will look like with thousands of drones flying in the sky. They continue to discuss Amazon’s quest to add more speed to their delivery system by working on air prime which aims to deliver your product by a drone in 30 minutes or less. They continue to discuss that the FAA is currently working on laws for drones which will be out in 2015 and can change the landscape of the sky with so many drones flying it will look like a sea of locusts. They continue to discuss the implications of what drones will have the ability to do such as deliver items, spy, and even potentially carry a harmful piece of weaponry. They encourage us to imagine what Hitler could have done with this technology. They encourage us and remind us that we live under the all seeing eye of God and to your life accordingly and pray. As Greg, John, and Pat discuss the journey of Apostle Paul. They discuss how many people today proclaim that Jesus is Lord but in reality they are giving lip service. They discuss that much of Paul’s ministry took place in the country of Turkey and how today we see the continual rise of the Ottoman Empire. They continue to discuss how the seven churches written about in Revelation were all located in Turkey. Paul was sent to the Gentiles. He suffered much and labored much for the Lord. In the midst of great advancement of the Kingdom Satan was always trying to come against Paul. They continue to discuss it’s always a good sign when Satan is trying to steal away what you are doing for God. When we take a glance at Paul’s life and how he was not involved in politics and just resolved to know Jesus. He did this only to have the “religious” people of that day to use the government to do him in. The religious people of the day even fasted saying they were going to kill him. Paul did many amazing things throughout his ministry; planting church’s, ministering truth to power, and writing most of what we call the New Testament Bible today as he was shackled in jail. All of that good and then eventually being beheaded. They continue to discuss how they are embarrassed when comparing their life to Apostle Paul.